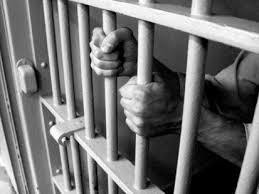 A community banker from Missouri is going to jail for 6 ½ years for bank and bankruptcy fraud. The principal shareholder of two banks, Richard Gregg plead guilty Friday to ripping off another bank for $1.5 million. In February 2009, Gregg borrowed $2 million from Great Southern Bank in Springfield, using 160,000 shares of stock for First Bancshares, Inc. (FBSI), the holding company for First Homes Savings Bank, as collateral. Gregg physically deposited the stock certificate with Great Southern Bank. However, on May 6, 2009, Gregg checked out the original FBSI stock certificate from Great Southern Bank, telling the bank he wanted to break the large certificate into multiple smaller certificates. Gregg signed a trust receipt promising to return the stock certificates to the bank within 30 days. Instead, he took the certificate to Scottrade and borrowed $440,000 on margin. In the end, Great Southern Bank charged-off $2,316,264 on Gregg loans. But that wasn’t the only bank Gregg ripped off. He was the principal shareholder and a director of Southwest Community Bank in Springfield, which failed in May 2010. His bank lost $679,399 on Gregg’s personal line of credit and $871,125 on a commercial real estate fraud scheme perpetrated by Gregg, for a total loss of $1,550,524. Gregg and his wife also were majority shareholders in Glasgow Savings Bank in Glasgow, Mo., which failed in 2012. Prior to Glasgow Savings Bank’s failure, it was one of the oldest operating banks west of the Mississippi River. Gregg was also a real estate developer, an investor and a licensed insurance agent for the Shelter Mutual Insurance Company. Gregg had ownership interest in and controlled a number of business entities. While Gregg was already under indictment for bankruptcy fraud relating to the bankruptcy petition of his corporation, he filed a personal bankruptcy petition that contained numerous false declarations and concealed fraudulent transfers of property. Gregg transferred his interest in two parcels of real estate, a 97.2-acre tract and a 6.4-acre tract in Nixa, Mo. Gregg also filed $250 million in bogus liens on his real and personal property in order to keep them out of the hands of his creditors. Those are the counts he plead guilty. But there’s more our perp says he did. In 2008 Gregg defrauded Southwest Community Bank by selling the bank a piece of commercial real estate at 2814 S. Fremont in Springfield for $1,551,9440, when it was worth less than half that amount. Gregg did not disclose to the other bank directors that he had purchased that property for $775,000 a few months earlier, nor did he disclose that two appraisals had been conducted on the property in recent months. One appraisal valued the property at $762,000. In another bank fraud scheme, Gregg used collectible automobiles as collateral to obtain loans, then sold the cars without paying back the loans. Gregg borrowed $400,000 from Great Southern Bank in October 2007, which he secured with four collectible automobiles, including a 2006 Ford GT. Gregg consigned the 2006 Ford GT at a Barrett-Jackson Auto Auction in Scottsdale, Ariz., where on Jan. 23, 2010, the vehicle was sold at auction for approximately $150,000. Gregg chose to not return the proceeds of the sale of the Ford GT ($138,000 after deducting the auctioneer’s fee) to Great Southern Bank and instead used the funds for other purposes. When Gregg defaulted on the loan, Great Southern Bank realized a $129,644 loss. Gregg also admits he committed wire fraud related to bounced checks at two Oklahoma casinos. On Jan. 3, 2012 Gregg presented five checks, payable to Buffalo Run Casino in Miami, Okla., each in the amount of $10,000, knowing his credit union account contained insufficient funds to cover those checks. Between Feb. 16 and March 1, 2012, Gregg presented five checks payable to Downstream Casino and Resort in Quapaw, Okla., in the total amount of $60,000, knowing his bank account contained insufficient funds to cover those checks. Some of Gregg’s criminal conduct occurred while he was on bond and while he was incarcerated. Following his indictment by a federal grand jury on Feb. 28, 2013, Gregg was released on a personal recognizance bond. The court found that Gregg had violated his conditions of bond by committing federal crimes while on release and the court ordered Gregg’s bond revoked and he was incarcerated. While in jail, Gregg filed a motion asking the court to reconsider its order. Prior to the hearing, the government obtained and reviewed recordings of Gregg’s telephone conversations and prison visits, preserved on the Greene County Jail’s recording equipment. The recordings revealed that Gregg conspired with others to commit new crimes from jail. On Nov. 3, 2014, the court issued an order denying the motion to reconsider bond. In addition to the 6 1/2 year prison sentence, Mr. Gregg is ordered to pay $3 million in restitution.